You may me wondering what these huge marine monsters eat. Well you're in luck! 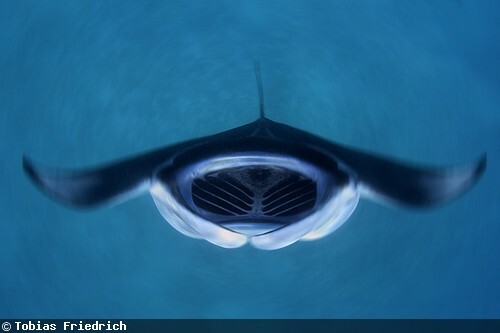 Unlike sharks,Manta Rays funnel food out of the water using rows of plates on the inside of it's mouth. They don't have teeth. Usually Mantas eat plankton,small fish and crustaceans.I will tell you more about how Manta Rays eat in one of the paragraphs below. They use plates to eat too! 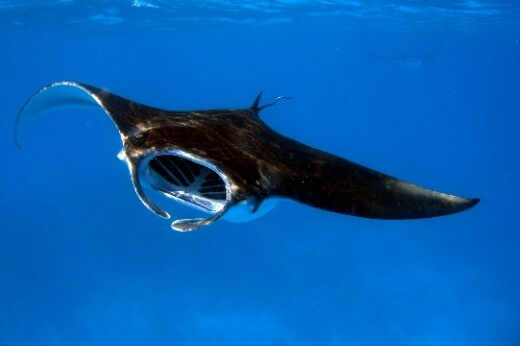 The process of filtering food allows Manta Rays to take in all of the things in the water and filter them out.The water processes out through the Manta Ray's gills then the things inside of the water like plankton,small fish,and crustaceans, stay inside of the Manta Ray. These little fish clung onto the Manta Ray are called slender suckerfish. These little suckers have these little things on the top of their head that act as suction cups. 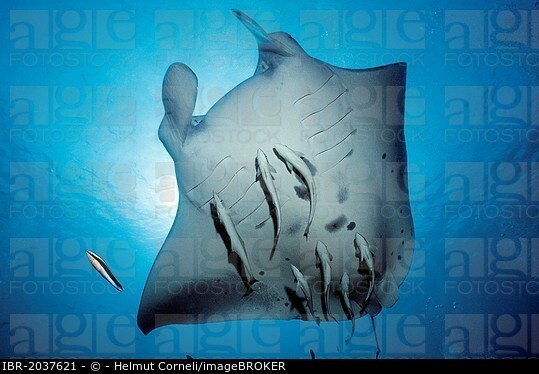 These fish cling onto the Manta Ray's stomach. Then they eat algae of of it's skin and that is how Manta Rays are cleaned.This is also how sharks are cleaned. Wow! Would you look at that. No wonder they have wings! 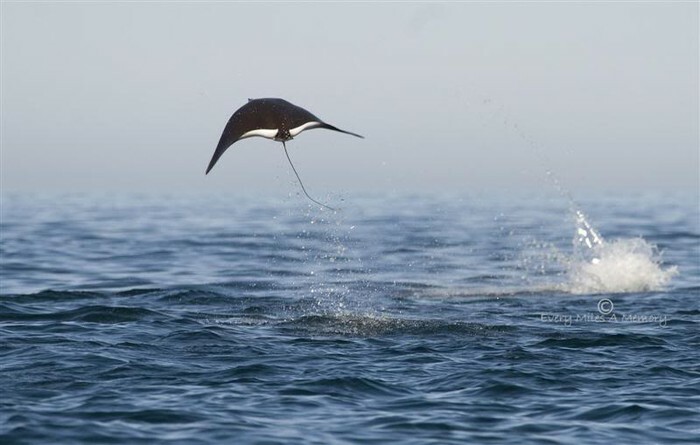 This Manta Ray isn't actually flying. It's a mystery why these giant creatures gracefully jump up into the air like ballerinas. Some people think that the males jump up in the air to impress females. Some people think that they do this to build up speed. Thank you for listening to informational flyer about the majestic Manta Ray!